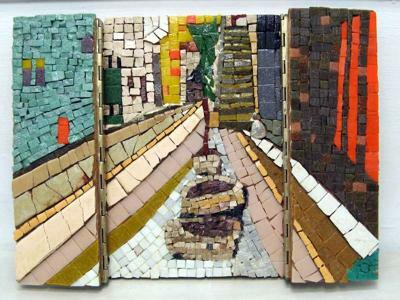 This triptych shows the Jaffa gate when opened a street in the Jewish Quarter. Living in Israel, every visit to Jerusalem is magical. 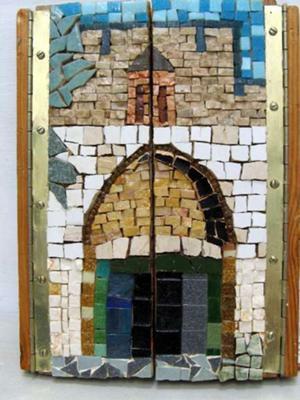 The work is stone, glass and ceramic on wood with metal piano hinges. 30 x 22cm closed, 30 x 40cm open.